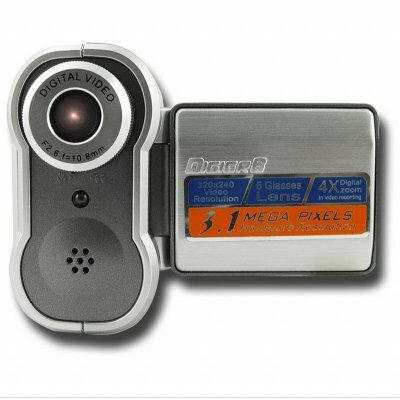 Successfully Added Digital Camcorder 2.0 MegaPixel Beginners DV Camera to your Shopping Cart. Digital Camcorder 2.0 MP with 1.5 inch view screen and 2.0MP CMOS imaging sensor. Compact sized digital camcorder with a 2.0 megapixel CMOS imaging sensor. This impressive beginner's camcorder can also take up to 3 mega pixel photos. It is fully compatible with SD/MMC cards up to 1 GB and comes with 4x digital zoom. Additional features include a high quality 1.5 inch TFT color LCD and the use of AA batteries (easy to replace when needed, with no need to buy expensive proprietary batteries). With the CVA-V1812 you can be confident of getting good quality digital pictures and videos for a very low wholesale price. This camcorder/digital camera would is ideal for a first-time user because of its ease of use combined with a nice feature set. This model is in stock now for single piece or stock orders. The one digital video camera that every beginner should have. Easy to carry, never-ending power by simply popping in more AA batteries, simple operation, expandable memory via additional SD cards, all at a budget wholesale price. Powered by AA batteries, easy to replace when needed. No need to buy expensive proprietary batteries. Well it is really cheap so don't expect great quality. It is very portable. I would call it a child's toy. I used to get this from another supplier in China. Now Chinavision price is lower, so ordering some here. it's not a new item, but sells ok here in Canada due to ridiculously cheap price!